t*rexes and tiaras: Friday Favourites 124..
Another week, another wishlist and this week it's all about sparkles. It's no secret that I'm a bit of a magpie; my attention gets caught by pretty, shiny things. 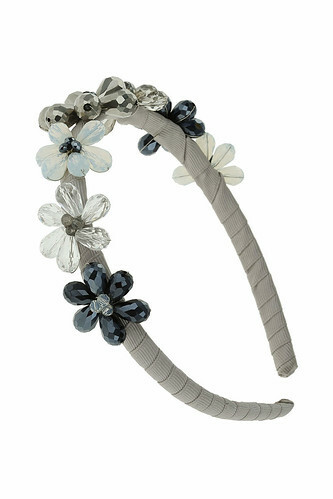 001: This headband is like the perfect finishing touch to just about any party outfit, I think. I love the chunky flower beads combined with the fact that the colours are fairly neutral. I'd wear it with sequins and heels. 002: Or...combine the two? Heels with sequins! 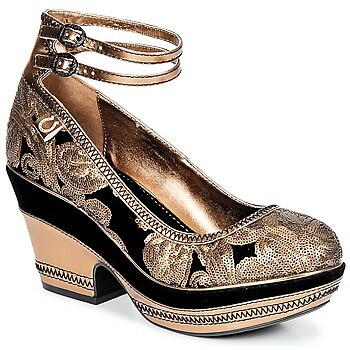 I like the chunky heel shape here; that and the sequin pattern gives me a kind of oriental feel. I really like the double ankle strap; so dainty in comparison to the rest of the shoe. Plus, they look as though they'd be so comfortable that you could dance all night! They look nice and chunky so stable to walk in! Ooooh haven't seen these Miss L Fire shoes, very pretty. I did wonder if maybe they were an older style.